Tomorrow, the people of Crimea will vote in a referendum on whether the peninsula should secede from Ukraine and unite with Russia. No one seriously doubts what the result will be. Russian President Vladimir Putin’s approach to democracy is much like Alice in Wonderland’s Queen of Hearts: he prefers verdicts to be known in advance. But what happens next? There has been much speculation about the role of international law in the crisis so far — and what the crisis means for international law moving forward. It would be helpful to set a few things straight. It is true that on 24 February pro-Russian troops took over much of Crimea. Some Russian military were lawfully in Crimea under a treaty that stations its Black Sea Fleet there. But major troop movements and an increase in numbers require consent from the Ukrainian government, which was not given. President Putin initially claimed that the troops were merely “local self-defence forces”, but that pretence has now been dropped. Other justifications included the need to protect ethnic Russians and Russian assets — though there was no persuasive evidence of what they needed to be protected from. So Russia’s actions amount to an armed intervention, but the threshold for “aggression” is arguably higher. Ukraine has not claimed that an “armed attack” has occurred, which would trigger Article 51 of the UN Charter and a right to self-defence. The reason for this hesitation is, presumably, the fear of escalating the confrontation into a full-scale war. Well, US Secretary of State John Kerry might well say that. (He did.) But an unkind observer might then point to the fact that Senator Kerry himself voted in favour of the 2003 Iraq War on pre-texts that were also, we now know, “trumped up”. Russia, for its part, has cited the 1999 NATO intervention in Kosovo as precedent for its actions. This is no less awkward for the United States, which at the time bypassed the United Nations — against Russian opposition — to liberate an ethnically distinct region from a country they considered hostile. The US and its allies tried to argue that Kosovo was unique and “sui generis”. Taken seriously, it was an assertion that NATO could act as it did but that no one else could follow suit. That never made much sense. Even so, the comparison with Crimea is strained. Kiev’s rule is not as brutal as Belgrade’s, and the United States did not seek to acquire the territory of Kosovo for itself. Russia has, however, invoked these arguments before. It was during another Olympics — the 2008 summer games in Beijing — that Russia “liberated” South Ossetia and Abkhazia from Georgia. Virtually no states have recognised the new entities other than Russia, to which they are attached as client states. Nevertheless, after some muted criticism the Obama administration announced a “reset” in relations with Russia and life went on. Kosovo is, in fact, precedent for this. After Kosovo declared independence in 2008, the International Court of Justice was asked for an advisory opinion on whether a unilateral declaration of independence was in accordance with international law. The clear hope was to get an opinion on the status of Kosovo, but the Court neatly dodged that question. Instead, it considered whether there was an international norm prohibiting such a declaration — regardless of whether the entity that made it was entitled to do so, and without reference to the legal effects it might have. The Court concluded that there was no such prohibition at international law. The vote will, however, violate Ukrainian law. The decision by the Supreme Council of Crimea to hold the referendum clearly breaches Article 73 of the Ukrainian constitution, which requires any alteration to its territory be approved by a referendum of the entire country. But if Crimea secedes and joins Russia that would be immaterial as it would no longer be subject to Ukrainian law. 4. So, Crimea can secede? The fact that a declaration of independence is not prohibited by international law does not mean that any such declaration would be effective. Russia points to Scotland, which will vote on its own future in September this year. There are some important differences, however. Most notably, the United Kingdom has agreed to the Scottish referendum, Scotland is not presently occupied by a foreign power, and the vote was organised more than a year in advance. Others have looked to Quebec. In 1998, the Canadian Supreme Court held that Quebec could not secede unilaterally. Nevertheless, a clear vote to secede would require good faith negotiations on “constitutional changes to respond to that desire”. The situations in which a unilateral right of secession has been recognised are limited to the most extreme cases — independence movements challenging European colonialism and territories under foreign military occupation. 5. In other words international law is irrelevant to the crisis? Arch-realist Bilahari Kausikan recently wrote in these pages that the situation in Ukraine shows how important international law is to small countries. That is true, but it is an exaggeration to conclude that great powers resort to international law “only when convenient”. One should not be naïve, of course. “The law is still the law, and we must follow it whether we like it or not.” That was Putin writing in the New York Times last September, in a bid to stop the US intervening in Syria. The hypocrisy was breath-taking. But international law does shape behaviour on a daily basis. Even in extreme cases like Crimea its norms influence the cost-benefit analysis undertaken by states. Indeed, one of the most interesting questions is why Putin’s decision to annex Crimea came as a surprise to so many. It appears to have been a classic case of “mirroring” — assuming that a given actor would approach a situation in the same rational way that you might. Most actors assumed that the costs to Russia — of prestige, reputation, and possible economic sanctions — far outweighed the benefits. Though it is hard to discern Putin’s true motives, it is clear that these assumptions were flawed. In particular, they fundamentally underestimated Russia’s desire to return to great power status, especially in its “near abroad”. Here it is worth remembering that the word “Ukraine” literally means, in Slavic, “borderland”. 6. So Putin is going to get away with this? Yes, Russia will get the influence over Crimea that it seeks and the autonomous republic will become part of an expanded Russian Federation. US President Barack Obama has been mocked at home by conservatives for being “feckless”, but it is not clear what carrots or sticks he holds. Russia has a veto on the UN Security Council, military action is inconceivable, and economic sanctions that would actually bite — cutting off natural gas purchases — would probably hurt Europe more than Russia. But there will be costs. Russia has just spent US$51 billion on the Sochi Olympics — more than the combined cost of every Winter Olympics since 1924 — in order to showcase its revival as a modern state. Despite some hiccups in execution and criticism of its homophobic laws, that makeover had been partially successful. All the goodwill so purchased has now evaporated. One of the few world leaders to speak out in support of Putin was Syria’s Bashar al-Assad. When only the butcher of Damascus is on your side, you have to wonder where you went wrong. Internationally, Russia’s status as a fixture at the G-8 group of leading economies is now in serious jeopardy. But probably more important is the build-up of domestic pressure within Russia. Though comparisons with the 1962 Cuban Missile Crisis are overblown — no nuclear weapons are in play — the domestic consequences of that crisis were that Soviet Premier Nikita Khrushchev was overthrown by members of his own Politburo for “hare-brained scheming”. There are some signs that Putin’s erratic leadership may at last be undermining his own support base. One hundred and sixty years ago, Russia lost a war over the Crimean peninsula to a European alliance. 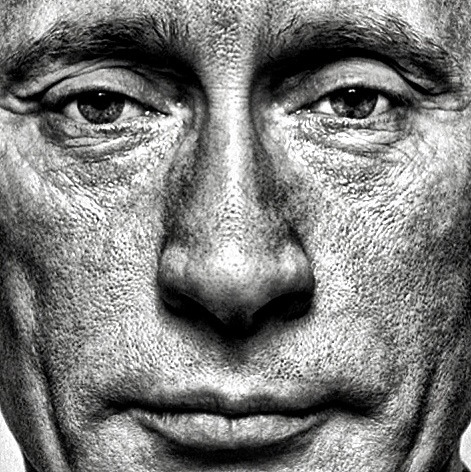 President Putin may win the present battle. But he could lose the wider war. Regardless of how the people in Crimea vote tomorrow, Russia’s prestige and his own place in history will be diminished. This article appeared in the Straits Times on Saturday, 15 March 2014. Bringing the focus of this problem closer to Asia, can a parallel be drawn with the situation of Sikkim and India when, in 1975, Sikkim voted to become part of India? I believe a case can be made that Ukraine never had sovereignty over Crimea. Whatever transferred to Ukraine from Russia it was not sovereignty, since the Constitutional provisions for secession do not include taking any included autonomies without the approval of the Supreme Soviet. Much as they called themselves that, the Union Republics did not have full sovereignty themselves. Then Ukraine decreed that Crimea was an autonomous republic within Ukraine, not within her power, and Crimea in turn declared independence, Ukraine announced she was not going to give back the Soviet nukes that were on her soil (but not her control). I suspect a dirty little backroom deal was then made; Crimea became the ransom for this nuclear blackmail. Also, you do know about the Korsun massacre of Crimeans on the way home from the anti-Maidan?